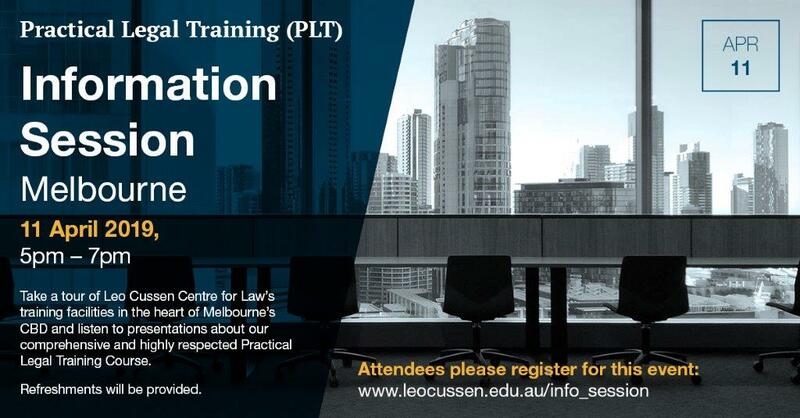 Victorian Legal Admissions Board (VLAB) information session. EmployMe offers a range of comprehensive resources, including an interview simulator, market information and job searching tips. We love to hear stories about students and alumni achieving their career goals. Whether you’re volunteering or work shadowing, interning overseas or have landed your dream role - we want to hear about it! BCG Scholarship Program applications are now open! This year we are offering two scholarships to students in their penultimate year of study – one for a female applicant in line with our commitment to supporting women build successful careers, and another which is open to everyone. The 2019 BCG Scholarship invites ambitious students from a diverse range of experiences and degrees to apply. An application is not only an opportunity to be considered for the scholarship but also to an opportunity to be considered for a graduate position. The recipients of the scholarships will each receive AUD$20,000 and potentially secure a graduate position with the world’s fastest growing premium management consulting firm. In addition, scholarship recipients will be offered the opportunity to join a two-day Master Class in Strategy, an invaluable opportunity to learn more about Management Consulting. Applications close on 9.00am (AEST) on Tuesday 30 April 2019.